Providence Health Care has named Elaine Couture, RN, BSN, MBA, as its new chief executive, as current leader Michael Wilson transitions to retirement. PHC is the parent organization for Providence Sacred Heart Medical Center & Children's Hospital, Providence Holy Family Hospital, two rural hospitals in Stevens County and a number of outpatient health care services. Its family of health services also includes Providence Medical Group, the region's fastest growing group of primary care and specialty physicians with nearly 300 providers today. Wilson, who has been an executive within Providence's Spokane hospitals for 31 years, will remain involved in an advisory role for PHC leaders throughout 2013. He announced his retirement to staff this fall, saying that carrying out long term strategic plans necessitated having his replacement on board now to assure key partners that decisions made would be consistent during a transition period. Couture has been in health care since 1977, first as a bedside nurse and nurse manager at St. Vincent's Hospital and Health Center in Billings, MT, and then as director of an occupational health and wellness program. She held her first administrative position at Providence St. Mary's Medical Center in Walla Walla, serving 15 years in advancing leadership roles including Chief Nursing Officer, then accepted a role as vice president at Providence Sacred Heart in 2002. She advanced to chief operating officer and then was named chief executive for Sacred Heart and Holy Family hospitals. PHC plans to immediately begin recruitment to fill Couture's role as the chief executive for Sacred Heart and Holy Family. Spokane Coeur d'Alene Living magazine's 'Best of the City' event brings their annual 'Best of' issue to life this Friday, 7 pm to midnight at the Spokane Masonic Center, sponsored by Mario and Son. Come enjoy award-winning food and cocktails served out of a custom ice luge. 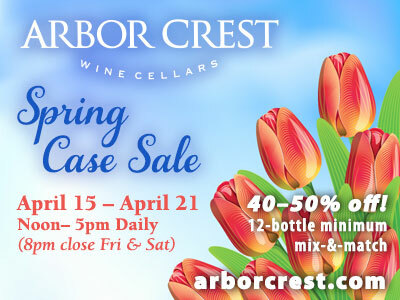 Enjoy food sampling from some of the region's award-winning restaurants, taste wines and beers from local wineries and breweries. Three DJs as well as live music and art demonstrations. 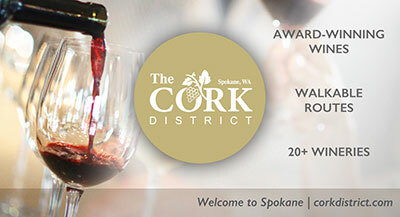 The event also honors all of the 'Best' of Spokane as determined by their readers; best, hotels, restaurants, news people, artists, musicians, retailers, and more. Go to spokanecda.com and order your tickets today for the best party of the year! On November 3, 1992 owner Pamela Barclay opened Wonders of the World in 699 sq ft of space in the Flour Mill on the main floor. Wonders is a world import shop that has something for everyone, art, sculpture, fossils, crystals, minerals, toys, gemstones, beads. Prices range from 25 cents to 25 thousand dollars. Pamela's criteria for merchandise is that it has to be unique and different. In 1996 Wonders had already outgrown their space and expanded into a neighboring store's spot, essentially having two stores. 1997, 'Annie' came to live at Wonders of the World. 'Annie', the actual skeleton of a 50,000 year old Russian cave bear, was named for Dolores Anne Fischer, the first manager of Wonders of the world, who is responsible for talking owner Pamela Barclay into buying the artifact from its owner, a Russian Paleontologist. The entire main floor of the Flour Mill was remodeled in 2001 and Wonders' two shops became one. In 2004, beads were given their very own shop across the hall from the main shop and Wonders was back to being two shops again. Help Wonders of the World celebrate their 20th year in business at their Anniversary Party on Friday & Saturday, November 9 & 10. Everything in the shops will be 20% off. Door prizes both days as well as a number of door busters marked at 50-75% off. The phone number is 509-328-6890 and the website is www.wondersoftheworldinc.com. Magner Sanborn, a full-service advertising, brand design and marketing communications firm, has added three new staff members to its roster. Charlotte Boutz joins as Senior Account Planner. Scott Ellis joins as Digital Marketing Specialist. Jimmy Gleason joins as Web Developer. Magner Sanborn has 43 employees with offices in Spokane and Seattle-with additional employees working remotely in San Diego, Grand Rapids and Sydney, Australia. Agency clients include Netflix, Mandalay, Digital, Washington Dairy Commission, Amtrak Cascades, Providence Health Care, AmericanWest Bank, Avista, Memjet, Thomas-Hammer Coffee, Yoke's Fresh Markets and others. The firm was selected as Advertising Age's 2012 West Coast Small Agency of the Year. Their website is magnersanborn.com. Prestigious national conventions and events are in Spokane over the next two weeks, bringing millions of dollars in economic impact and priceless exposure to our community. The Society of American Foresters Annual Convention is here until Sunday, with 1,700 attendees and an estimated economic impact of $3.4 million, The World Accordion Championships were here last weekend. This is a much smaller group (less than 100 attendees), but it brought big international representation. Accordionists from Asia, Europe, Australia, North America, South America and Africa were in town for this prestigious five-day competition at the Bing. Then the National Preservation Conference is here October 31-November 3 with nearly 1,800 attendees from across the country bringing $4 million dollars in economic impact to our city. Thanks for all your great work on behalf of our community Visit Spokane! Join T.R. Reid, correspondent and reporter for The Washington Post, NPR and PBS, and author of 'The Healing of America,' as he shares his unique perspective on health care. Reid will talk about his 2012 PBS documentary film, US Health Care: The Good News, and lead a panel of local and national health care leaders how to build a quality, efficient and cost-effective health care system. Forum will be held November 13 from 5:30 - 7pm at the Spokane Convention Center. No cost to attend, light refreshments will be served. Doors open at 5 pm. H&M, one of the world's largest fashion retailers, known for offering fashion-forward apparel and quality basics, opened yesterday at Spokane Valley Mall. H&M, a Swedish retailer, offers clothing for the whole family, with separate 'store within store' sections for accessories and lingerie. The new Valley Mall location will also carry a children's collection for kids ages newborn to fourteen, as well as the retailer's plus-size line, H&M+. Fortune magazine has announced that STCU ranked 16th among medium-sized companies on their 'Great Place to Work - Best Small & Medium Workplaces'. No other Northwest company made the list of medium-sized companies, which will be published in November 12 issue of the print magazine. Join the Spokane Area Workforce Development Council and CleenNW with Launchpad INW's Clean and Green Community and Next Generation Leaders for a free community conversation, tomorrow, Tuesday, October 30th 3-6pm, regarding the critical workforce skills common to Clean-Tech companies focusing on 1) Best practices for teaching/learning these skills. 2) Current and potential skill gaps, and 3) Practical ways to fill the gaps as a regional consortium. Guest Panelists: Bruce Folsom, Director of Energy Efficiency Programming at Avista Corp, Rhosetta Rhodes, Chief of Staff, Office of the President of Whitworth College, Kim Pearman-Gillman, Business Development Director of McKinstry, and Rich Marll, Senior Director of HR at Itron. The event is at the Lincoln Center Monroe Ballroom, 1316 N. Lincoln. Sign up free to zan@launchpadinw.com. Hanna & Associates, a Coeur d'Alene marketing communications firm, recently earned a national award from the American Gaming Association (AGA) at its 12th annual VOICE competition held October 3 in Las Vegas. Hanna won for 'Best Website' on behalf of its client, Northern Quest Resort & Casino in Spokane. Hanna's creative work beat out entries from a number of top U.S. marketing and advertising agencies, including DDB New York, Red Square Agency, and Rubin Postaer and Associates. The competition included submissions for: MGM Resorts International, Ballys Corporation, Mandalay Bay Resort & Casino, Caesar's Entertainment Corporation, Hard Rock Hotels and Casinos, and other highly recognized players in the gaming industry. Hanna & Associates was founded in 1977 in Coeur d'Alene and has become one of the Inland Northwest's largest marketing communications firms. Hanna's website is hanna-advertising.com. Kelcey Hendrickson has joined InCyte Pathology as the Operations Manager. Kelcey is a Medical Technologist with over 13 years experience in the clinical arena. She started her career in Hematology at Sacred Heart Medical Center. Kelcey moved into the Cytogenetics department at SHMC, worked as a Technical Specialist and Assistant Supervisor and was eventually promoted to Cytogenetic Technical Supervisor. New to the Spokane media market is the Community News Star, published by the Northeast Community Center, a community non-profit. The paper focuses on the Community Centers, the neighborhoods they serve and the people who live and work in them. More than 18,000 copies are distributed monthly throughout the community in high traffic locations and through elementary schools. Local advertisers fully fund the publication and the dissemination of news that helps families become and remain self-sufficient. Call 509-444-1226 to advertise or to find out where you can pickup a copy; or, visit www.necca.myspokane.net. Brand It, an advertising agency and promotional products company, has purchased a building in the Spokane Valley and has relocated there from a smaller location. The agency has moved to 122 N. Raymond Road from its prior location at 12422 E. First. The 3,500-square-foot building purchased by Brand It has undergone a complete interior and exterior remodel. Brand It occupies approximately half of the building and plans to lease out two other suites in the building, approximately 900 square feet in size each. The new office space has a real urban vibe, with reclaimed fir beams and posts with exposed existing brick masonry. There are 17-foot ceilings and rich cork floors. Spokane contractors handling the remodel were Jon Tettleton of Old Hat Workshop and Peter Matsubuchi of The Carpentry Ant. Pat King of All Wall Contracting Inc. of Post Falls completed the stucco on the building's exterior. Dan Mathews, who co-owned The Focus Group advertising agency for 13 years, founded Brand It Advertising in 2009 after merging the advertising agency with his wife, Lisa's promotional products company. Brand It Advertising is a full service advertising agency specializing in advertising, design, and media production/placement. Dan Mathews and the Brand It team utilize more than 45 years of industry experience and serve local, as well as national, accounts. Brand It Promotional Products, a division of Brand It Advertising, helps find custom imprinted solutions to compliment their clients' overall marketing objectives. They can imprint your logo or motto on just about anything you can think of. The company employs seven people and plans to add at least three more within the next year. The website is www.branditadvertising.net. With 60 years of history, a new Executive Director, new Board members and a new website, the Spokane Parks Foundation is ready to embrace the future. Heather Beebe-Stevens has recently joined the Spokane Parks Foundation as executive director. Ms. Beebe-Stevens comes to the Foundation with sixteen years of fundraising and nonprofit experience, most recently with the Spokane Symphony. She will be working closely with the Board of Directors to develop a vision for the Foundation that will allow the organization to support Spokane's parks and public spaces as they have historically done, as well as expanding that support to other community groups and municipalities. Joining the Board of Directors are Craig Crowley of DCI Engineers, Thomas Schoesler of Spokane County Fire District #9 and Marilyn Thordarson, who is currently a Loaned Executive from Providence Healthcare to the Spokane County United Way. The Foundation also recently launched an updated website, which allows users to better interact with the Spokane Parks Foundation. The website provides information regarding partnerships and fiscal sponsorship opportunities, as well as how interested organizations can apply for grants. The Spokane Parks Foundation improves parks in the Greater Spokane area through donations that fund grants for park activities and community projects. The Spokane Parks Foundation is a privately funded, independent organization that collaborates with the parks and recreation departments, as well as other community groups, throughout Spokane County in order to improve and sustain parks and other recreational facilities. The National Trust for Historic Preservation will present its Preservation Honor Award for the restoration of the SIERR Building at McKinstry Station, 850 E. Spokane Falls Blvd. The project is one of 22 award winners to be honored by the National Trust during its 2012 National Preservation Conference next week in Spokane. In 1907, Spokane was at the forefront of electric transportation technology, and the Spokane Inland Empire Railroad Building served as an influential hub in the development of electric railroads in the region. But that success was short lived due to the rapid rise of the automobile, and the SIERR Building was abandoned. Decades later, McKinstry CEO Dean Allen saw in the building the opportunity to demonstrate the company's values of innovation, creativity and sustainability by putting the building to use for offices and retail. Funding for the project came from local, state and federal tax credits, as well as a grant for innovative design and energy conservation. The project attained LEED Gold Certification status through a variety of green features. Extensive masonry cleaning met stringent historic standards and used only ecologically friendly methods. Staircases feature reclaimed wood from the project, and car barn doors have been preserved as tables and room dividers. The SIERR Building at McKinstry Station is not only revitalizing the neighborhood, it has also resurrected a major part of Spokane's history. In 1907, the building was designed to represent a new, emerging era in transportation technology. Today it represents a new, emerging era in preservation. The award will be presented to McKinstry at the Richard H. Driehaus National Preservation Awards ceremony this Friday, November 2. Co-recipients are: The City of Spokane; CTA Group; DCI Engineers; Design Source, Inc.; Lydig Construction; and Stephen Day Architecture PLLC.